This could provide a window into the Red Planet's past. We’ve known for some time that huge deposits of water ice reside beneath the surface of Mars, but we didn’t know much about its properties. Currently available methods of peering below the planet’s surface can’t access the depths where the water ice is present. Landers can dig down a few centimeters, and radar equipment can offer a look at what’s tens of meters beneath, but we needed to see between those two areas. We needed to find exposed water ice. Now, a team led by geologist Colin Dundas has done just that. Using the HiRISE camera on the Mars Reconnaissance Orbiter, they’ve pinpointed eight locations where large quantities of sub-surface ice have been exposed by erosion, leaving it accessible for further study. Erosion has caused steep, pole-facing slopes to form at these locations, exposing water ice starting at depths of as little as 1 to 2 meters (3.2 to 6.5 feet) and extending up to 100 meters (328 feet) or more. The sites that have been spotted don’t feature many craters, so the researchers believe the exposed water ice formed relatively recently. According to Dundas and his team, the steep angles and fractures observed suggest that the ice is cohesive and strong. It’s comprised of different bands and covers, which might indicate that it’s made up of layers from snowfall that took place at various times. As a result, studying the exposed water ice could reveal how the climate of Mars has changed. The images of the sites, which were captured over the course of three Martian years (almost six Earth years), demonstrate that huge chunks of rock fell from the ice as erosion took place. As a result, the team behind the study estimates that the ice is receding at a rate of a couple of millimeters (~.07 inches) each summer. The discovery of this much exposed water ice opens up various possibilities for future research projects. 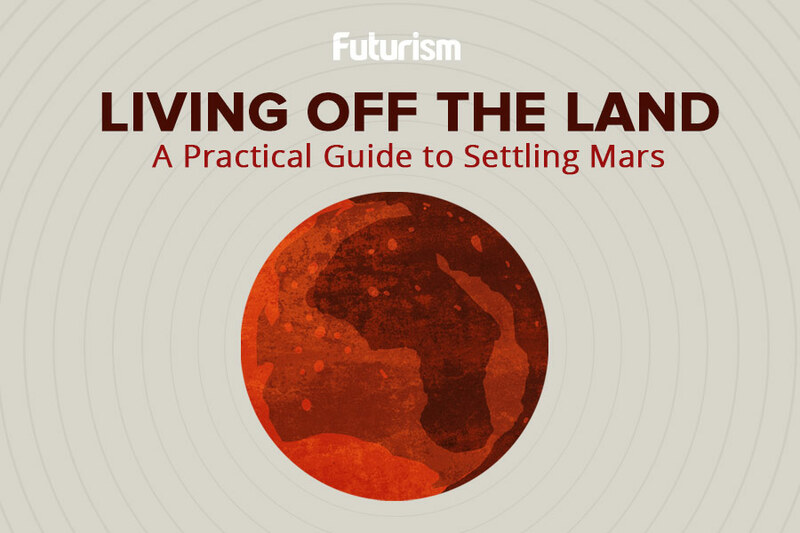 It could also be a very useful resource for any future crewed missions to the Red Planet. One of the biggest challenges of staying on Mars for any period of time is the pressure of taking everything necessary to support human life with us. If we could source our water from the planet, we wouldn’t have to take as much with us when we departed from Earth. Researchers believe the exposed water ice is relatively pure and likely more extensive than what we can actually see with the HiRISE camera. Unfortunately, the eight sites identified by the researchers are all within Mars’ upper mid-latitudes, which can endure extremely low temperatures. Any manned mission is unlikely to target these areas. Still, researchers plan to look for similar ice deposits in regions where humans may one day visit. They’re likely to be much further underground, but the European Space Agency’s ExoMars rover can drill down as far as 2 meters (6.5 feet), while NASA’s Mars 2020 rover possesses an advanced ground-penetrating radar. The hunt for usable water on Mars is far from over.